New build properties have made a massive comeback over the past few years on the Costa del Sol, arguably seeing key ready properties leading the way. Although savvy property investors are still taking advantage of off-plan properties to reap the rewards of lower prices (providing better returns) and excellent staged repayment plans available directly through the developer. Unlike resale properties built ten to fifteen years ago - new developments in Spain are using new building techniques widely used throughout Northern European countries which are now more energy efficient, constructed with better quality building materials as well as better designs which utilise living space. If you decide to purchase off plan you also have the added bonus of being able to put that personal touch on your new home, with a number of different options available through your developer such as styling and layout to fit your personal taste and requirements. Bank guarantees and insurance provided to your constructor cover your investment whilst you are in the construction stage of your new home, most new developments are then covered by the builders guarantee usually offered up to ten years which give you that peace of mind that your investment is fully protected where as resale properties unfortunately do not offer such safeguards. Modern designs, quality materials, energy efficient, cost effective, excellent investments, great repayment options - these are reasons for investing in the new development market on the Costa del Sol. 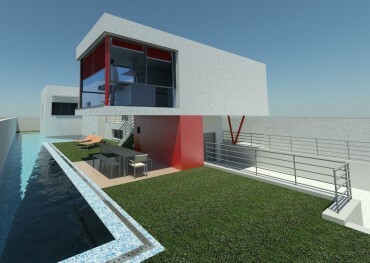 List of new developments located on the Costa del Sol. Key ready properties and off plan investments. What to see more new developments and key ready investments? Other than this small selection, we have many more excellent value Costa del Sol new developments and key ready investment available for you to see today. Simply register your interest and we will give you full access to the best new developments on the Costa del Sol.